Acrylic Splashback Suppliers in Adelaide, Melbourne, Sydney, Brisbane, Darwin, Perth, Hobart. ISPS Innovations your one stop shop to Acrylic Polymer Coloured & Printed Splashbacks and Benchtops available in any pattern or colour! Acrylic splashbacks are used in kitchens, designer bathrooms, modern laundries for all types of renovations. Acrylic Splashbacks are inclined to create a quick, clean and elegant change for home owners and businesses in Adelaide, Melbourne, Sydney, Brisbane, Darwin, Perth, Hobart, want more, they are DIY friendly, saving you money on installation. The exciting range of available acrylic splashback and benchtop colours create colour envy with the amazing textures & creations by ISPS Innovations. These finishes invigorate interior decorators, designers, & selector architectural establishments to motivate interior designers, architects, mums, dads, couples, singles to be their own leaders in colour choice, taking control of their colour inspiration across the nation, be it coloured or printed Acrylic splashbacks or the influence of creating your very own custom coloured benchtops, with longer lengths, seamless water fall edges in your choice gloss level & colour combination. These acrylic splashback surfaces are practical & elegant in the look. The feel and impact of our Acrylic Splashbacks creates an impression of class and style for any decorative space. The IPA Acrylic surfaces are turning heads everywhere they find themselves. Acrylic splashbacks can be custom designed and coloured for any and every situation and you can match your custom CulourTek Benchtop to suit. Our innovative polymer systems have no colour barriers, with the mix of colour combinations, printed or solid colour splashbacks and custom hand designed benchtops, ISPS Innovations have you covered. IPA Acrylic has the look of glass with out the price tag! ISPS Innovations can deliver our Acrylic polymer and Acrylic printed splashbacks to you wherever you are located in Adelaide, Melbourne, Sydney, Brisbane, Hobart, Perth Darwin, anywhere in Australia. ISPS Innovations also produce Bonethane Splashbacks a high heat polymer suitable for induction and ceramic cooktops. Bonethane looks like glass, is DIY friendly & available in any colour, ISPS EFX and printed splashback process. Check our range of unlimited Acrylic Splashback colours for your next DIY project. Exhausted by standard colours with limited colour range? ISPS Innovations tailor our colour tones & blends on all colours across the largest range of exterior and interior splashback substrates in Australia. ISPS Innovations are proudly Australian Made, even the Giraffes like our copy of colour combinations. ISPS Innovations can match colours for you and have a member of our team waiting always ready to assist 7 days a week till 9 pm nationally. Our expert acrylic splashback designers and colour technicians are like no other. ISPS Innovations will not be beaten on custom coloured acrylic splashback prices in Adelaide, Sydney, Melbourne, Brisbane, Hobart, Perth Darwin. With free delivery when you buy on line! Not only, do ISPS Innovations have the largest Polymer Splashback range, made available, ISPS have the best quality product in Australia. Our engineered PMMA acrylic & high heat polymers can out perform glass splashbacks on price and durability for some applications, we should know as we supply glass too. So let us know your application and we can advise the best solution and price. IPA Acrylic and Bonethane are mould resistant, hard wearing. No dry polishing required as our polymer range is wiped with a damp cloth for the purpose of air drying and shinning. IPA Acrylic and Bonethane look spectacular athwart many applications in the home and in commercial space across, Adelaide, Melbourne, Sydney, Brisbane, Darwin, Perth, Hobart . Bars, hotels, realestate agents, medical facilities, schools and homes have embraced the acrylic splashback for their bathrooms, under bars, shower cubicles, vanities, commercial kitchens, laundries, spas, decorative feature walls, counter panels, and even white boards. It is not only kitchen & bathroom splashbacks making the big splash (pardon the pun) in hospitality or throughout the business sector. Clever colours are enhancing rooms and spaces all over our proud cities and country areas and ISPS Innovations are proud contributors of this colour combination pandemic. IPA Acrylic splashbacks, Bonethane Splashbacks, VetroPoly Glass and Culourtek Benchtops are so easy to clean and durable. Save you money on custom manufactured joinery & splashbacks. Our ISPS Acrylic splashbacks attract attention with home owners and businesses. Ideal Home calls them, "hardwearing, practical, and a great style statement" to make behind any sink or high traffic spot. They recommend that you opt for bold colours to add some serious style to your kitchen or bathroom. How ever, we like to think style is in the eye of the beholder, YOU!, so let ISPS Innovations create your dream kitchen, bathroom, laundry or commercial space, with our amazing custom splashbacks and benchtops. IPA Acrylic splashbacks & benchtops provide inexpensive flexibility for the home owners and commercial establishments in Adelaide, Melbourne, Sydney, Brisbane, Darwin, Perth, Hobart. Architecture & Design prides on luxury living, ISPS Innovations high gloss splashbacks are the distinguished way to go, they are Australian Made Splashbacks that will last and will not cost the earth. Designs and printed images on the IPA Acrylic , Bonethane and Glass splashback and wall panels are almost limitless. You can even have an image of your favourite place, moment in time, or if family selfies are your thing you can personalise your 21st century mark. ISPS Innovations polymer range come with GRIPTEK backing. Contact one of our friendly team today for your perfect custom coloured or printed splashback for your home or business in Adelaide, Melbourne, Sydney, Brisbane, Darwin, Perth, Hobart. ISPS Innovations, we have you covered! Call ISPS Innovations, we create innovative interiors! 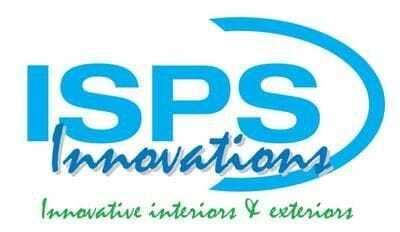 Welcome to ISPS Innovations the creative source and hub for Acrylic Polymer Splashbacks in any colour, print and pattern. Our Acrylic Splashbacks, Bonethane Splashbacks and Glass Splashbacks are the most plain or colourful splashbacks in the market place. ISPS pride our selves on custom made finishes that last. Our superior Acrylic, Polymer Splashback warranties speaks for itself. Our Acrylic Splashbacks, Bonethane high heat Polymer Splashbacks & Glass Splashbacks are used Australia wide by DIY devotees and the trade industry. ISPS Innovations create a ready product where the innovation is seen on the outside, but works through the inside, that is why ISPS can provide the best warranties for our custom Australian Made polymer splashback & benchtop range. ISPS Innovations create innovative interiors. We lead in kitchen and door resurfacing & manufacture, custom colour kitchens,benchtops & doors supplying our total innovative range Australia Wide. Click the link and see a whole new world of custom innovative interior delivered to you!